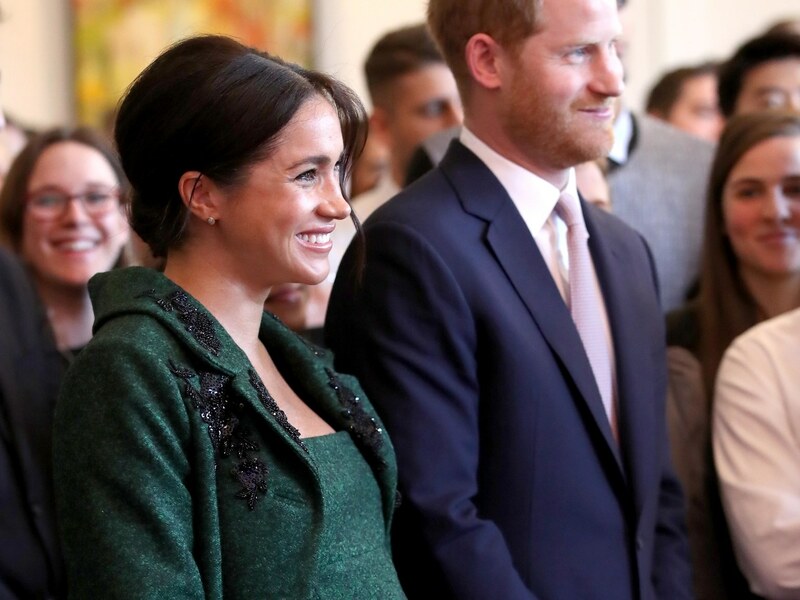 For the first of two engagements on Commonwealth Day, Prince Harry and Meghan visited the Canadian Embassy in London to meet with Canadians living in England! 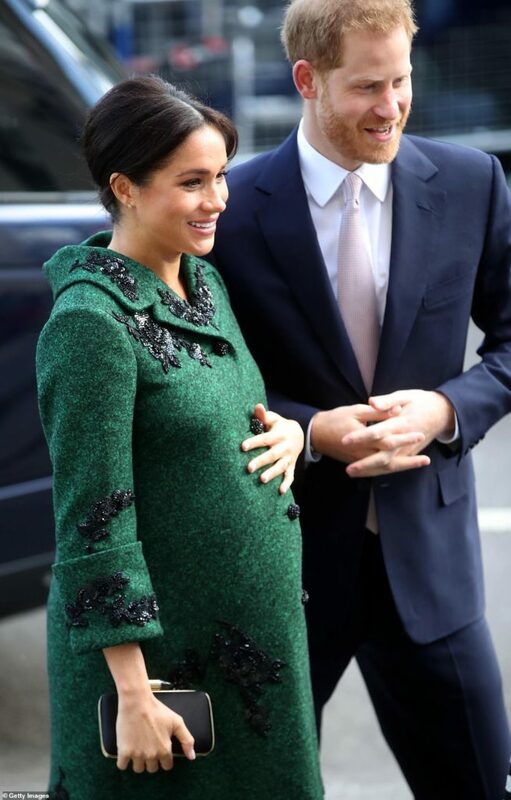 For the occasion, Meghan wore an embellished green coat and matching dress – both by Erdem! The coat was a customized version of one we saw in Erdem’s Fall/Winter 2019 collection that debuted on the runway just last month. She paired the chic combo with her go-to Aquazzura Deneuve pumps in black suede and a Givenchy satin minaudiere she’s worn multiple times. 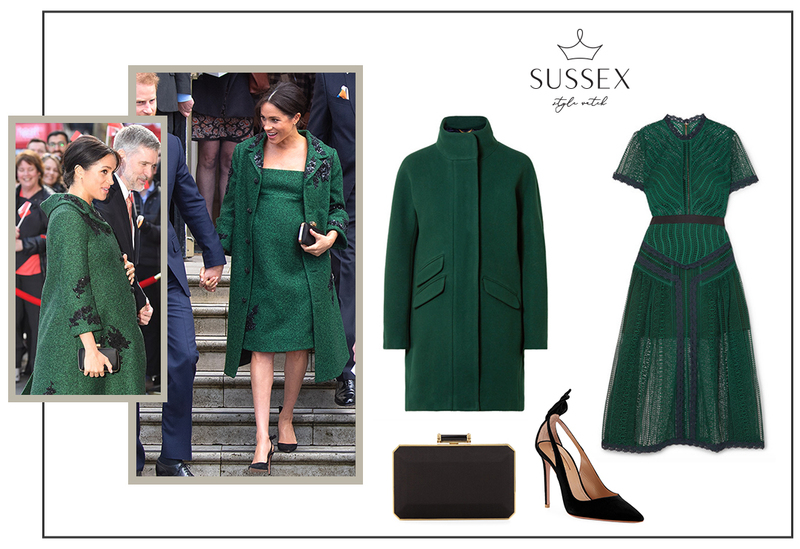 I’m hoping to be able to link her exact outfit once these items appear in stores later this summer, but until then, shop similar gorgeous green pieces below!